I live in Azerbaijan where I never saw democracy. In this photo, the police have covered the mouth and the eyes of the man so that he can neither see reality, nor speak about it. 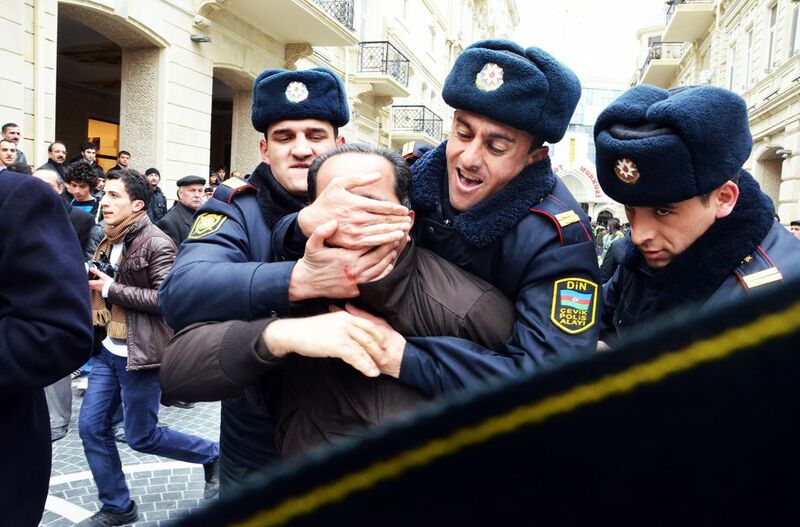 This is how democracy exists in Azerbaijan. Date Uploaded: Nov. 27, 2012, 12:42 a.m.